Before we talk about Inbound Marketing, let’s take a look at the corresponding outbound marketing and why it fades. Outbound Marketing is the 4P Theory Mix. Once a company decides to communicate specific messages to consumers, it begins to use some tools to continue massively “spreading” the message to consumers and reminds them of their own brands, hoping to reach more target customers Group, and attract their attention. These outbound marketing communication tools include; television, radio, print magazines, newspapers, telephone marketing, mail marketing, exhibitors, spam and so on. This has been the practice of more than 50 years of marketing model, the main approach is to various types of marketing information through different Outbound Marketing tools to potential customers, in the hope of creating an impression in their mind so that in the future when the customer needs, they can buy the product or Brand. However, too much marketing information has caused overloading of information in consumers’ minds, causing consumers to feel tired and overwhelmed by outbound marketing advertisements and the effect is continually getting worse day by day. In addition, many technology companies see this opportunity and have also developed a variety of new products to help consumers filter and block these disturbing messages, which undoubtedly exacerbated the dilemma faced by Outbound Marketing. 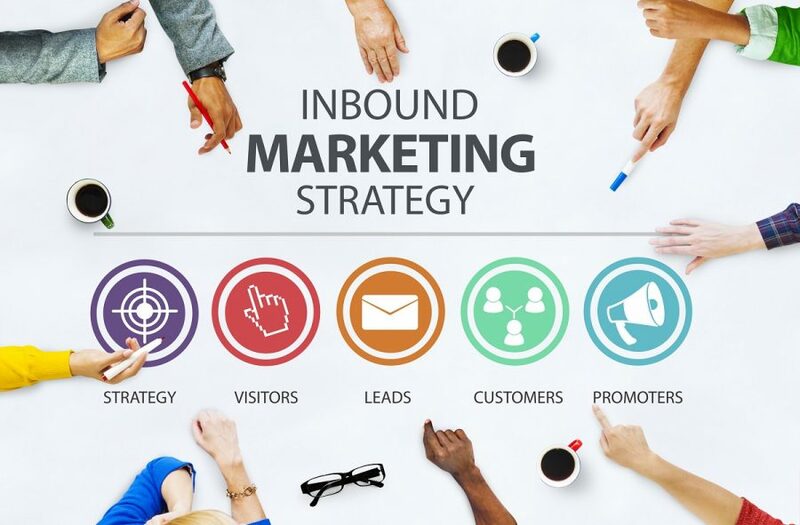 So, if you want to allow your business continue to grow, please change from Outbound to Inbound marketing. Inbound Marketing is a marketing strategy that lets customers find their own way. Marketers earn their customers’ favor with their own strength rather than traditional advertising. It is not a strategy to stay on the verge of exposure, but through a variety of different channels to achieve focused and accurate network marketing. Use of Paid Media, a paid-for or time-intensive medium, to increase the dissemination of information, get Earned Media, and optimize digital assets and lock your keywords while doing SEO (Search Engines Optimization), SMO (social media optimization), user experience optimization (UEO) full site optimization, the only way to truly Inbound Marketing. Therefore, companies should change the mode of transmission. Rather than continually disseminating their marketing messages to potential customers, it should use new online tools and platforms that allow potential customers to inbound their own products and services, resulting in conversions and sales. Beginning in 2009, some emerging technology companies in the United States began to use Inbound Marketing strategies to market their companies. However, many companies implementing Inbound Marketing have more than doubled their performance when using outbound marketing alone, while marketing costs are less than half of that of Outbound Marketing. Inbound method of marketing not only sells the product but the value created by the product to the customer, the value obtained by the customer to create profits for stakeholders; allowing customers and businesses a win-win situation. Therefore, marketing must take into account whether the customer will come back. The answer to this question is; when customers are satisfied with the entire process, satisfied with the product, they will come back. Truly enhance the value that can be provided to customers, not just the customer to hook the way. Layout in a variety of free web tools (blogs, social networks, search engines, etc.) so that everyone sees the value you can provide. With a variety of analytical tools to analyze the customer marketing effectiveness, and constantly revised and improved. Consequently, Inbound Marketing is viewed to be emerging as the most effective marketing strategy tool for businesses in 2018. Inbound marketing, in contrast to traditional outbound marketing strategy, does not insist the customers come to their customers. Rather, it creates the value of the product and business by showcasing the core values of the brand or product onto the social media and internet. This way, the customers see the value of the product themselves and make their own independent decisions of buying behavior. This way of marketing leaves a bigger impact and allows the customer to stay aware of the company’s new strategies, products, and values through social media. Emma Watson is a writer by the day and reader by the night. She holds an MBA degree. She has been working a digital and social media marketing specialist. Before stepping into digital marketing, she had gained 5 years’ experience as a creative and web content writer and had been working for online assignment help UK for 3 years. For the love of writing, she writes as a freelancer for several blogs and websites in her spare time.